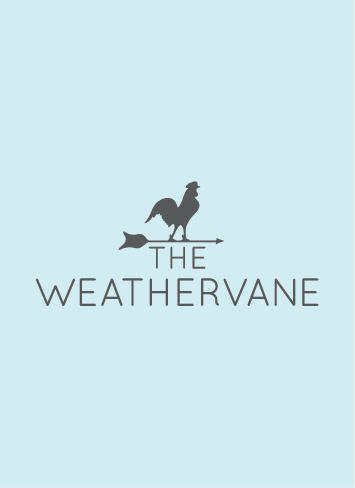 Dinner is served in The Weathervane from 6:45-9pm. Indulge in a perfectly balanced 6-course tasting menu or our Gourmet 9 course tasting menu. If you are wanting a 3 course meal then our A La Carte menu will be perfect. Terrible customer service. I am asthmatic and allocated dog friendly bedroom , when requested a move asked to pay another 100 pounds which would take the room rate to 270.00 per night. In your dreams this hotel does not warrant that price tag. Poor spa facilities no indoor pool, desperately needs updating. Came for afternoon tea & table set in bar lounge with seats far too low to enjoy tea. Waitress kindly moved us but seats still too low. Suggest use of restaurant . Spoilt at end as none of staff knew what to charge for Autumn special which we had booked. Fabulous stay with very friends staff couldn’t do more for you: the spa was amazing and exactly what we needed for a relaxing night away. The food was faultless and outstanding would visit again just for the food. Will be visiting again in the future. Fantastic service. The spa was wonderful with amazing treatments. The bar and restaurant staff were very warm and welcoming and the food was excellent. For what it cost,it was worth it. Excellent service, fantastic food and helpful staff. Staff especially in bar and dining excellent. Room kept tidy and comfortable. On the negative side bedroom was a bit cold. Very surprised to learn that the dinner menu was changed only every few weeks with no "specials" added in between. Our stay was only for two nights and it was difficult on the second night to pick a selection of items from the menu that I really wanted. Had I been staying longer I would have had to eat elsewhere. Generally standards were good and the staff were helpful and friendly although this does seem in my opinion to be a 3 star hotel with 5 star prices. Wonderful food in a peaceful relaxing lounge. Excellent service. The food and service were fantastic. Great value for money. All staff were friendly and helpful, nothing was too much trouble. Food was good, not great but good. Fixtures & fittings looking a little tired, could do with some TLC. e.g. Inside bottom of bathroom door in room 7 is badly corroded. Disappointed that there was a charge for the morning paper, this should have be covered in the optional service charge, even if not everybody pays it. Overall an enjoyable stay, would come back. We have been here twice before our stay this time back in 2010 and 2011. I remember trying to book to come and stay back in 2012 before our baby was due and that new management had taken over and I didn't end up booking just because of the attitude I got from the phone call when I asked to reserve a specific room. Anyway we thought as 6 years had passed we would give it a go as a last min break away. One of the main things I remember when we first stayed it was November and it was chilly you walked in to the hotel and it was so warm and inviting with lovely smells coming from the spa we had  a very warm welcome and immediately felt relaxed. However this time was very different the front door was propped open it was very windy there were leaves blowing inside obviously drafts and chilly. The welcome went the friendliest (no welcome have you stayed before etc) but it was efficient. I did ring ahead in the morning to say that we would be arriving early for lunch. We weren't shown around the hotel or even given directions as our room wasnt ready because we were early we left our bag in the lobby luckily I did remember where things were from 6 years ago. I felt disappointed that it wasnt as I remembered we walked into the bar area to find the decor had changed and some of the charm was lacking again, goldfish bowls with yellow gerbria's  in were not in keeping with the place and looked a bit tacky it would of been better if nothing was there, it was cold its the end of October the fires weren't lit and it was draughty. We ordered sandwiches service was very slow even to order waiting 25 mins for sandwiches and the place was very quiet we were the first people in when we arrived. Then when the sandwiches did come they had made a mistake with the order my husband who was hungry and didn't fancy another 25 min wait said he would keep what he had been given. Another sign that the attention to detail that we had previously experienced was lacking and that it was only confirming my first impressions. I had a spa treatment booked so we went to find our bag and our room was ready, We were shown to our room as we were walking I immediately notice that the corridor had bits all over it and the carpet was a bit grubby. We had a spa suite it was nice tidy, clean  and spacious again little attention to detail was lacking with exposed television wires coming out of the wall the room was cold and had to wait for it to warm up, we still haven't worked out how to the heated towel rail works. The temple spa toiletries were a lovely touch and we were left some lovely handmade chocolates which were yummy. We had a pretty big bathroom which was nice however the bath was relatively small and narrow there is plenty of space for a bigger more bath, and when I got in the bath the over flow was grimy had soap on it from the last time it was use and brown gunge so obviously hadn't been cleaned properly for a while. I went for my spa treatment it was unfortunate that the hot tub wasn't working but it was a very relaxing treatment and I love the fact the relaxation room has been separated. I have 3 children and really appreciate hotels welcoming children I hunt out family friendly hotels and so when I want to book a break for just the 2 of us I look for places where we wont be disturbed by screaming excited kids our balcony over looked the pool which was full of children playing which is nice but when that is all you can here for almost 2 hours and that you cant get in the pool because they are playing ball games its a bit of a nuisance when you've come away for a peaceful break. Anyway we went down for dinner and sat in the bar area where not long after we sat down 2 rather drunk men came and sat on the seats next to us with rather rowdy and swearing and made it perfectly clear that they were a party of 15 and we were sitting in there reserved area. There were no signs saying reserved and staff didn't say anything to us we felt uncomfortable so moved again the bar was drafty and fires weren't lit. We certainly didn't find it relaxing, we were quickly ushered to the dining room before finishing our drinks no pre dinner nibbles were offered as on previous stays the 2 men became a group of 15 rather noisy men women and children who were demanding nibbles that were being served to them. We moved into the dining room it was nice again a bit chilly I wrapped my husbands jumper around me no one had noticed or mentioned it again attention to details. We cant fault the food or service our meal was throughly enjoyable (again not to the standard of 7 years ago) although it wasnt until the table next to us had an issue with the fact no vegetables were served were we alerted to the fact we had to order them so we asked for some to be added to our order. I opted for the cheese board last time it was a trolley to  choose from I asked what cheeses there were and was told its just a selection when they arrived the server said he would get back to me with what they all were and I am still waiting. One was a goats cheese I don't like goats cheese and another was a block of cheddar considering I paid a £7 supplement for this and it was rather disappointing. All the way through the meal all we could here in the back ground was the large rowdy group which is not what you expect to have to listen to while eating a meal. We finished and reluctantly headed back to the bar for a coffee after 10 mins the group had been moved to a private dining room after being held in the bar for 2 hrs disturbing all the other guests, causing a lot of commotion in the mean time. They left their children in the bar to wait for their pudding at 9pm. We had a coffee I asked for cream they didn't have any and no petit fours were produced or after dinner mints again attention to detail when you come to a hotel like this and paying the sorts of money they charge you expect a certain standard and attention to detail. We then decided to retire to our room hoping we wouldn't be able to here the group and that it would of warmed up by then which thankfully was the case. Breakfast was nice (again not a good as our last visit) again dining room was chilly serving staff very nice and friendly. For spending over £450 during our stay it left a lot to be desired and it left us feeling disappointed that a hotel that we had so greatly enjoyed and had great memories is now sadly lacking and some how slipped its standards. A one stay in a suite room which was faultless from start to finish, lovely room, pre dinner drink followed by dinner in the restaurant which was lovely and breakfast the following morning, we hope to return sometime in the future, we enjoyed it so much. We were on the set menu for a 2 course meal. The atmosphere generally did not feel good. The head waiter was racing around, his face was cross and angry and he was being short with his staff and not a very warm person. you could tell his staff were nervous and it made the whole experience uncomfortable. we were sat by the entrance where the food was coming out and we could see and hear everything going on. we were disappointed to see him again at breakfast; but he wasn't doing as much so that wasn't too bad. the food was good, but just good. It was as good as a decent high street bistro, but the atmosphere ruined it all - shame for the chef. Room 15 was a bit awkward for someone who is 6' 4". Would request a different room next time. A lovely place and would stay again. The service was impeccable and the food beautiful, however, the starter was tiny (ie smaller than a tasting menu size course). The restaurant was a little cold too! Overall excellent. What made it extra special was the new front of house. I believe he had recently joined you from Romania. What an outstanding hire. He was organised engaging and funny. Fabulous addition to your team and he added the extra special touch to our weekend. Apologise we did not get his name but he was with the 5% optional service charge alone. We had a lovely short break belated wedding anniversary with you. We would have loved to stay longer but my wife's medical condition does not allow. My Wife and I would like to thank all the hotel personnel as they were most pleasant and attentive. We would also like to thank the Chefs and staff for the most enjoyable meals. This was our first visit and both breakfast and dinner exceeded our expectations. 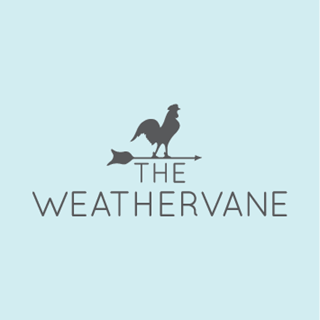 Our visit was fantastic, the quality of the food was fantastic and the service was great. The only reason I’ve given 4 stars for service is because it would have been helpful for the waiter to explain what food we had on the afternoon tea stand. Also, there were no dessert forks but the desserts on the top definitely needed them. We would definitely return but just some constructive feedback to enhance the experience.